The Coghlan's G.I. 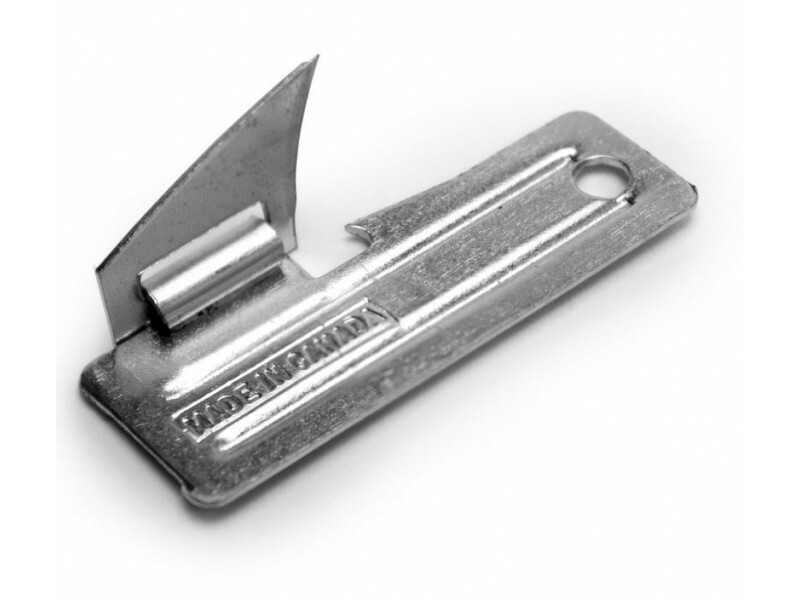 Can Opener lets you easily carry a military know-how with you when you are on the go. It stays sharp for years and is both compact and easy to use. 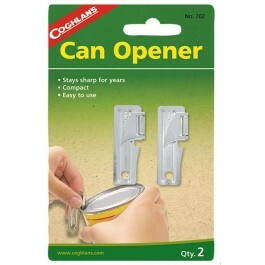 Its small 2" size means, this can opener can easily fit n your purse, backpack, wallet or emergency kit. Using a simple back and forth motion, the Coghlan's G.I. 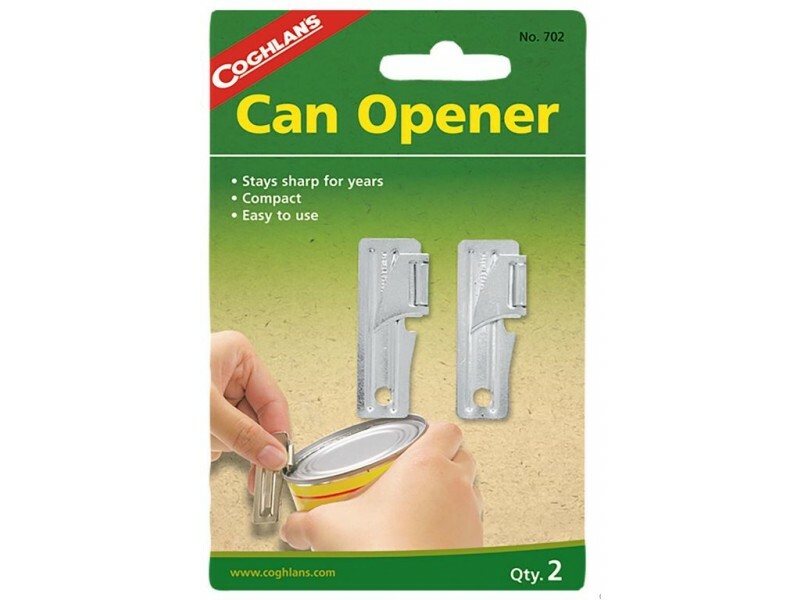 Can Openers blade can open up a can of most any size quickly and easily.